Trained as a specialist in Internal and Respiratory Medicine at National University of Singapore (MBBS 1982, Master of Medicine 1987) with Postgraduate Respiratory attachment in Royal Postgraduate Medical School, Hammersmith Hospital, London (1989-1990) and Fellow of the Academy of Medicine (Respiratory Medicine), Singapore since 1991, she is a founding member of the Asthma Association Singapore that was registered in 1993. She was the President of the association in 1995 and 1999. 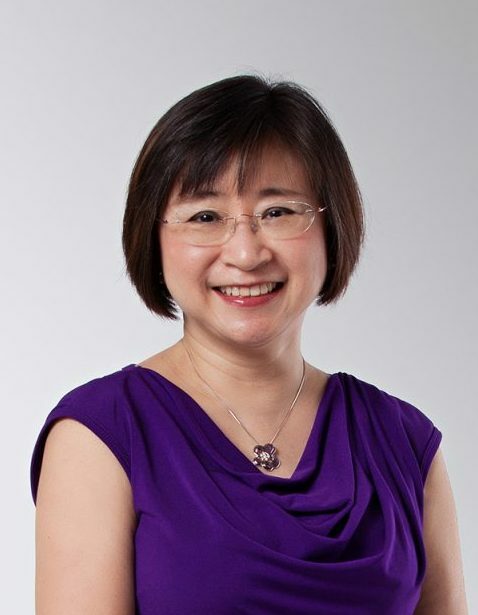 She was also an active committee member of the Singapore Thoracic Society from 1987 – 1995. Dr Yap helped formulate in 1997 the STEPS (Singapore Tuberculosis Elimination Programme) after one year as Singapore’s representative in the World Health Organization (WHO) Tuberculosis Surveillance Team (1996-2000) and TB Advisory Committee (1996). She was Acting Head (1996-1997) of the Tuberculosis Department at Tan Tock Seng Hospital and Consultant at Respiratory Department of the said hospital prior to private practice. She helped to manage the Occupational Lung Clinic from 1988 – 2001. At Mount Alvernia Hospital, she was Chairman (2003) of the Severe Acute Respiratory Syndrome (SARS) Prevention Committee, Chairman (2004-2007) of the Hospital Infection Control Committee and Member (2004-2006) of the Medical Advisory Board. She is the principal author of more than 35 papers published in Local and International Journals and had presented in a number of International Conferences. She was a clinical tutor for medical students, doctors and nurses while in Tan Tock Seng Hospital.